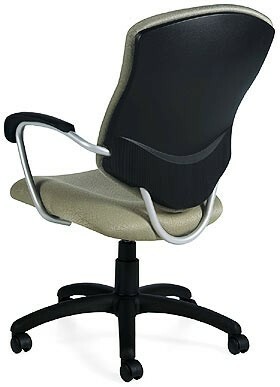 SUPRA 5330-4 Executive Chair from Global. Standard with Tungsten frame and black base (not shown). Contoured cushions support the user in a comfortable, contemporary style. Supra is an exceptional combination of graceful lines, the economy of large scale production, extensive quality control and life cycle durability testing. 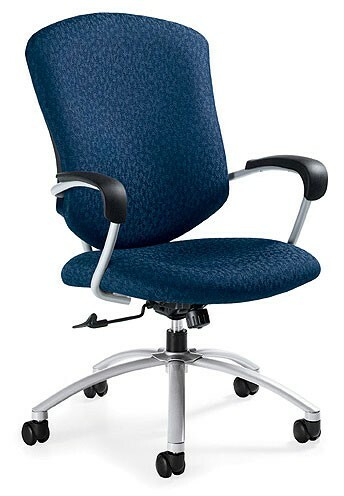 Value, beauty and performance all in one chair. Designed by Zooey Chu.